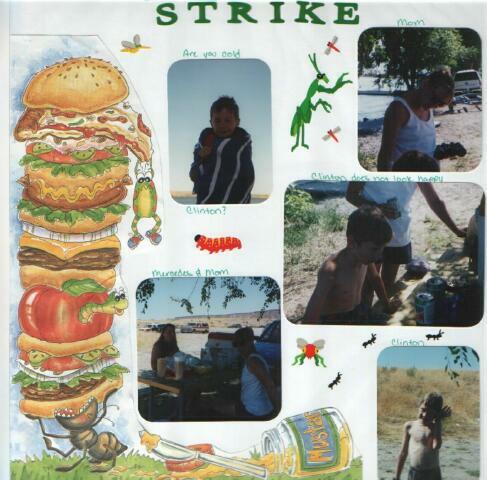 Pictures were taken at Strike Dam, southeast of Mountain Home, Idaho. The paper on the side of the layout was an 8.5x11 that I cut the picture out of to put on my page. Bug stickers are Mrs. Grossman's.